What can Bounce Booster do? Do you know how many users are bouncing from your site without proper interaction? Those users are lost forever and you are losing money! Bounce Booster fixes that once and for all! 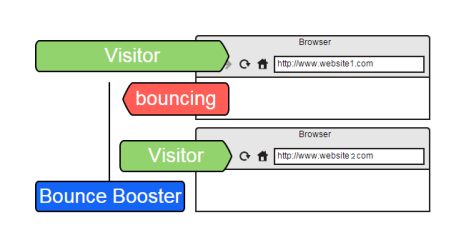 With Bounce Booster you are able to redirect bouncing visitors whereever you like to. Bounce Booster monitores the Browser-History and detects if a user uses the Back-Button to leave your site. 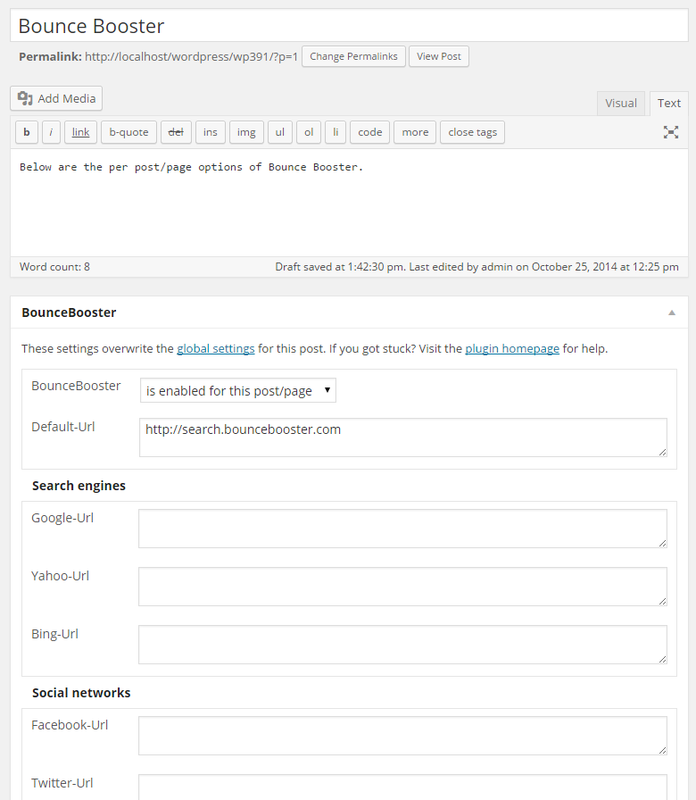 Now Bounce Booster takes over control and redirects the user to the landingpage you configured. What exactly can Bounce Booster do? All settings are configurable on a global level in the admin interface. All global settings can be overwritten on a Post-, Page- & Custom-Post-Type level. Bounce Booster supports Url-Shuffling. If you supply more then one url per traffic source, Bounce Booster chooses a random one. That comes in handy, if you like to share bouncing traffic to different target urls. What can I do with Bounce Booster ? Redirect the bouncing users to another site of your network or via affiliate link to a shop of the same topic. As a shop owner you can redirect the bouncing users to a "one time offer" page and give them a 5% discount if they buy now. Redirect the bouncing users to a searchpage and aks them to refine their request. Redirect the bouncing users to a question form and ask what you can do for them. Boost your Facebook-Page or your Twitter-Account by redirecting the bouncing users to one of those urls. With segmentation you can refine that and redirec only users comming from Facebook or Twitter to get a even better conversion. 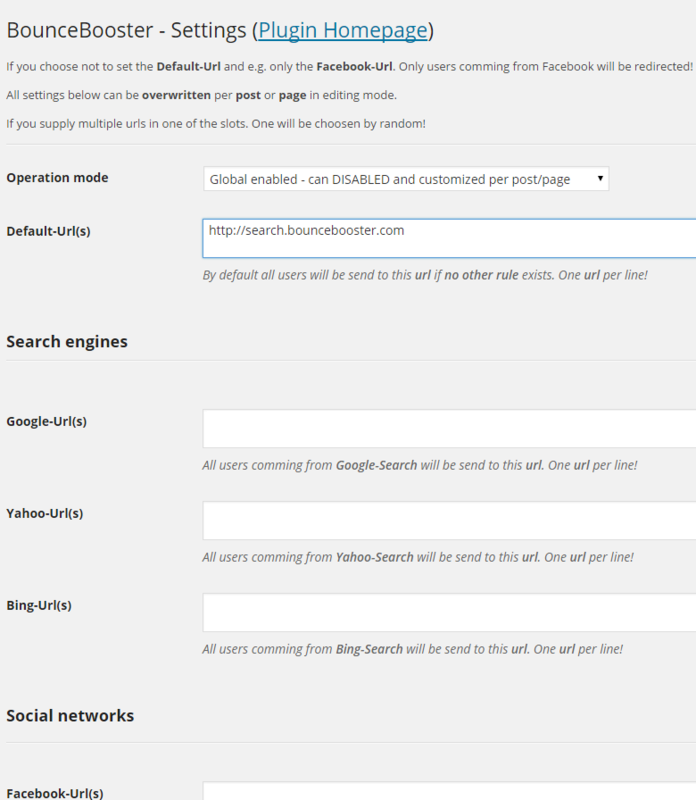 Redirect the bouncing users to a Google-Custom-Search and let them search your network. You can even make money by linking the GSC with your Adsense-Account. Try out Bounce Booster right now! Click the Browsers Back-Button and Bounce Booster takes over and redirects you to a page you do not came from. Convinced? Choose the license that fits your needs! For Professionals with many sites. * All prices include VAT at 19%. ** Updates for the bought major version, are free and included. If new features come only with a new major version you must buy a new license. (The major version is indicated by the number prior to the dot.) Version 1.0 and 1.2 belong to the major version 1. Version 2.1 belongs to the major version 2. *** Support is handled by email. There is also a closed Facebook-Group - just ask to get added if you bought a license. Questins to standard support gets answered during 3 working days. Questins to developer support gets answered during 1 working day. **** Available via Update. Please contact the support. Quote from the author of Bounce Booster! The concept behing Bounce Booster was introduced at 50 Leute 100 Steaks and SEO ExpertDAY and caused enthusiasm. I got a lot of request from people who wanted to use it but didn't want to invest big money in their own development. Therefore I developed Bounce Booster for Wordpress as a "out of the box" solution. Godspeed with the Plugin! Which Wordpress-Version is supported by Bounce Booster? Officially only the last two versions of Wordpress are supported but we made sure to use technics that compatible with older versions too. Is it possible to later upgrade a bought license? Yes, please just ask the support. I know a lot of people who will love Bounce Booster. Do I get a commission? Absolutely! Please have a look at the affiliate section. I'm using Adsense on my page, what does Google thinks about plugins like Bounce Booster? We do not came across any official statement from google. We use this technic since two years on a lot a websites and had no trouble at all. Please note there is no warranty at all. If you decide to use Bounce Booster it's on you own risk. Update: Meanwhile, there is an official statement by John Müller on the subject. According to him, there is no negative impact on the rankings. What Browser are supported by Bounce Booster? 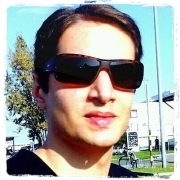 All modern Browser which implement the History-API. As affiliate you can earn 20% commisson. Just sign up at Digistore24. If you are planning some special promotion, ask us for an exclusive voucher code. I'm not using Wordpress! Can you yet still help me? Bounce Booster can be used with any CMS like Drupal, Joomla, MODX, phpBB, vBulletin, or framework like Laravel or Symfony. At the moment there is only an out of the box solution for Wordpress but please feel free to contact us upfront with your special request and we'll try to help you!